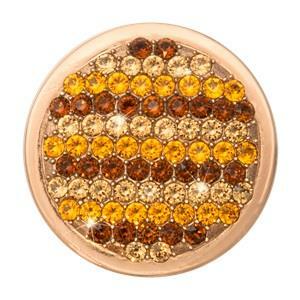 This rose gold nano-plated 'Fashionable' coin consists of different strips of glistening swarovski crystals in golden hues. Style this with a rose gold pendant to add a little fashionable glamour to your outfit. This is a medium 33mm coin designed to fit in the 35mm pendant.